Please read this agreement carefully before using this site. By using this website, you agree to the terms and conditions of this disclaimer. By using this website, you agree that Campground Judge Limited shall not be held liable for any damages arising out of the use of this site or the information contained herein. Campground Judge Limited makes no warranty as to the suitability of this information for use, for any intended purpose, nor does Campground Judge Limited make any warranty or representation for the suitability of any products obtained through this site. All users of this site recognize that inaccuracies and/or typographical errors may occur, that the site is frequently updated, and that Campground Judge Limited makes no warranty as to the benefit of the updates to any particular supplier, user, or vendor. Campground Judge Limited hereby disclaims all warranties regarding documents, information, software, and graphics shown herein. Copyright Policy. You may not publish, reproduce, distribute, or otherwise make available any information or material (including campground rating and reviews, survey questions, responses and results) protected by copyright, trademark, or other proprietary right without the express permission of the owner of the copyright, trademark, or other proprietary right. In addition, the burden of determining that any material is not protected by copyright rests with you. Campground Judge Limited shall have the right, but not the obligation, to monitor the content of the site including any forums and campground reviews to determine its suitability. Campground Judge Limited shall have the right in its sole discretion to edit, refuse to post, or remove any material submitted to the site. All submitted reviews must be family appropriate. Campground Judge Limited reserves the right to remove all content deemed inappropriate without notice. Please note that the opinions expressed on campgroundjudge.ca are not necessarily the opinion of Campground Judge Limited and cannot be deemed so. You agree not to hold us responsible for any material posted on campgroundjudge.ca. As a portion of the material found on Campgroundjudge.ca is provided by an external source, we do not guarantee the accuracy of postings or user communications or the quality, safety, or legality of what is being bought or sold. We also cannot guarantee continuous or secure access to our services. Accordingly, to the extent legally permitted we expressly disclaim all warranties, representations and conditions, express or implied, including those of quality, merchantability, merchantable quality, durability, fitness for a particular purpose and those arising by statute. We are not liable for any loss, whether of money, profit, goodwill, or reputation, or any special, indirect, or consequential damages arising out of your use of campgroundjudge.ca, even if you advise us or we could reasonably foresee the possibility of any such damage occurring. By using this website, you agree to indemnify, defend and hold harmless Campground Judge Limited, its affiliates and suppliers from any liability, loss, claim and expense (including attorneys' reasonable fees) related to (i) your violation of this agreement, and (ii) your posting of material to this site. This site may include links to other Internet sites solely as a convenience to users. 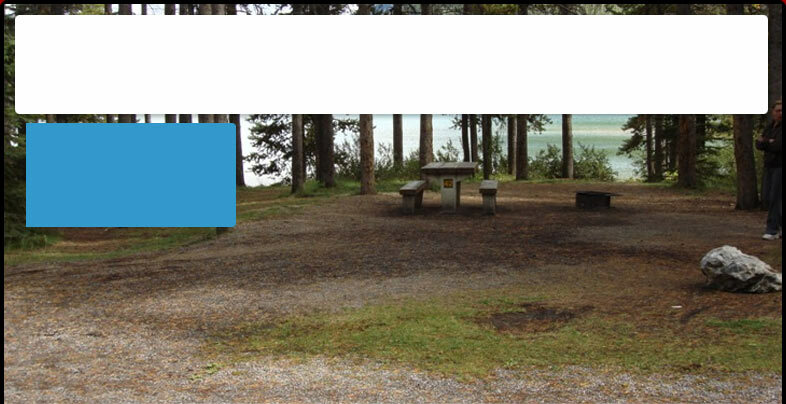 Campground Judge Limited does not endorse these sites or the information, material, products or services contained on or accessible through these sites. You access and use such sites, including information, material, products and services therein, solely at your own risk. Campground Judge Limited reserves the right to change, modify or edit the terms and conditions of this disclaimer at any time, and at the sole discretion of Campground Judge Limited. We recommend that you visit this disclaimer regularly for most current terms and conditions of use. By continuing to use this service, you shall be deemed to have accepted any changes, modifications or edits to this disclaimer. By using this website you agree to the terms and conditions of this disclaimer.